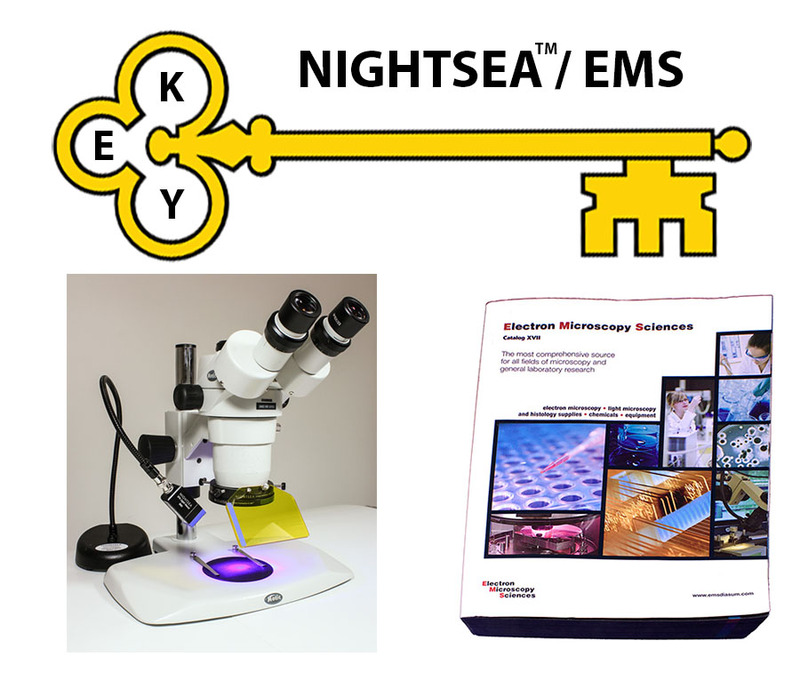 The application period for the 5th annual NIGHTSEA/EMS (Electron Microscopy Sciences) KEY Award for New Faculty is now open! The KEY Award is an annual equipment grant to an individual entering their first faculty position at a college or university. Originally open only to those entering US institutions, we have expanded the eligibility to those entering any academic institution worldwide. $750 in equipment or supplies selected from the full EMS catalog. Fluorescence is increasingly central to many fields of research, most notably in the life sciences but also in other disciplines. New faculty start-up budgets are limited and fluorescence microscopy equipment can be very expensive. Immediately after the introduction of the economical NIGHTSEA Stereo Microscope Fluorescence Adapter (SFA) system we realized that it was popular among researchers entering their first faculty position because it provides an economical way to implement a fluorescence capability at a reasonable cost. NIGHTSEA founder Dr. Charles Mazel’s R&D career owes much to the inspiration and support of many people. The KEY Award is a way of giving back to the community and honors several of those individuals. ‘K‘ is for Dr. Les Kaufman, Professor of Biology at Boston University. I met Les when he was Director of Research at the New England Aquarium and I was just a SCUBA diver walking in off the street with a 35mm slide deck of photographs of fluorescing corals. His excitement and encouragement led me back to university to pursue research into the meaning of the phenomenon and ultimately to a rewarding research career. ‘E‘ represents two people – Dr. Harold E. ‘Doc’ Edgerton of MIT and Dr. Thomas Eisner of Cornell University. I was privileged to know both of these great men. Doc was a pioneer in both high speed imaging and underwater search, and an inspiration to all who met him. Tom was a great entomologist, the ‘father of chemical ecology’, and absolutely brilliant at using photographic imagery to communicate his observations of nature and the novel scientific investigations that they inspired. ‘Y‘ also represents two people – the remarkable husband and wife team of Drs. Charlie and Clarice Yentsch. I met this inspirational pair of scientists when I entered my PhD program, and Charlie was soon added to my thesis committee. I was privileged to spend a summer conducting research at the Bigelow Laboratory for Ocean Sciences, which they founded, and working side by side with them on numerous field projects. The inaugural 2015 award went to Dr. Robert Mitchell at the University of Wisconsin Oshkosh, where he is using the system to aid his neuroscience research using beetles. Read the blog post about the first award and another about how he very quickly put the system to good use. The 2016 award recipient is Dr. Sarah Petersen at Kenyon College. She is using the system for research, undergraduate education, and community outreach. The 2017 award went to Dr. Kristen Gorman at California State University Chico. She pioneered use of the medaka, a small fish, as a model organism for studying idiopathic scoliosis. Dr. Gorman is using the NIGHTSEA system to support her research, and also for education and outreach. The 2018 award recipient is Dr. Pierre-Paul Bitton at the Cognitive and Behavioral Ecology (CABE) program at Memorial University of Newfoundland, Canada. Dr. Bitton is researching the proximate mechanisms of fluorescent protein production, especially in red- and green-fluorescing fish. The KEY Award is open to individuals entering their first faculty position at a non-profit college or university any time in the academic calendar year 2018-2019, worldwide. That includes starts in Fall 2018, winter/spring 2019, and new hires for Fall 2019. Entries will be read and ranked by an evaluation panel of scientists and non-scientists. The application deadline is Friday, June 7, 2019. Selection of the awardee will be made in early August. Equipment will be sent to the awardee at their new institution. Use the form below to submit the requested information, including a copy of a published paper. Be concise! The categories are listed in order of significance for evaluation. Note that the second item is a very close second in significance to the first and will play a major role in the evaluation. Read carefully – At NIGHTSEA we believe strongly in communicating science beyond the community of your peers. When you write about your research, please do so with language and style that are accessible to an educated person who is not a professional scientist. Tell us concisely WHAT you are pursuing, WHY that is important, and HOW you go about it. Research – Describe the research that you plan to pursue in your new position. Pay strong attention to the guidance in the paragraph above. NIGHTSEA SFA role – How will the NIGHTSEA system contribute to your research, and how will it make your life easier or better? 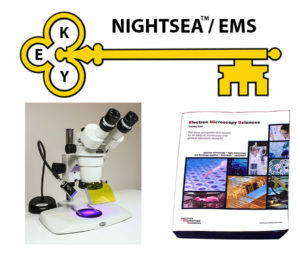 Education/Outreach – Will you be able to put the NIGHTSEA system to use beyond your research, such as for undergraduate education or community outreach? If so, please describe. If research only, please state this. All fields must be filled in (unless indicated as optional). If you need to change any information after submitting the form please contact NIGHTSEA directly. Congratulations! Where is the next step in your career? When did/will you start at your new position? Describe the research that you plan to pursue in your new position. Pay strong attention to the guidance in regard to language and style. 300 word maximum. Enter directly or copy/paste from another document. Attach up to 3 graphics - diagrams, graphs, etc. - that support your research description. Please attach a pdf copy of a publication that you feel represents your work well. How will the NIGHTSEA system contribute to your research, and how will it make your life easier or better? 200 word maximum. Enter directly or copy/paste from another document. Will you be able to put the NIGHTSEA system to use beyond your research, such as for undergraduate education or community outreach? Please describe. 150 word maximum. Enter directly or copy/paste from another document.